Exact estimates of the power required in manufacturing processes prevent machines from being designed with capacities that are several times greater than those required. 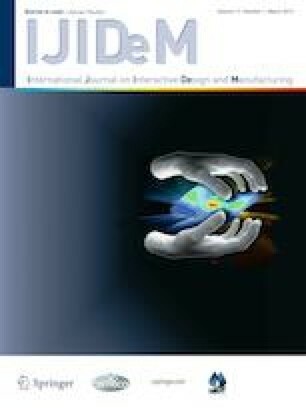 Owing to the high energy consumption in the manufacture of tubes and profiles, in this study and considering the effects of some input parameters (including the bend angle increment at each stand, internal distance between the stands, strip thickness, channel flange width, and corner radius) in the production of a symmetrical channel section, the energy consumption and required torque were investigated and optimized using the full factorial method. The results showed that an increase in the bend angle increment at each stand increases the required torque and changes the energy consumption, so an increase in the bend angle increment at each stand from 30° to 60° could save 1 kJ energy for each meter of the product. Moreover, reductions in the flange width and strip thickness reduce the torque and energy for each unit length. The effects of the distance between stands on the energy and the torque depend on the bend angle increment at each stand. Consequently, at lower angle increments, the reduced distance between stands increases the energy consumption and required torque. The cooperation and guidance of PAYA Tubes and Profiles Co., Mr. Barghikar and Dr. Mousavi, and the faculty members of the University of Tarbiat Modares are greatly appreciated. Table 7 presents all possible combinations of the input parameter values (designed using the full factorial method) along with the relevant results obtained from the experimental tests and curve fitting models. The residual values result from the subtraction of the predicted values from the actual values. In this table, the amount of Studentized residual should not be higher than 3 for each test . As can be seen, the fitted models can adequately predict each of the experimental test results.